OC Parks and the Los Angeles Angels of Anaheim have teamed up to provide children and families with a wonderful event. On Saturday, July 7, at 11 a.m., Angels catcher Bobby Wilson will make a special appearance at the OC Zoo and all visitors wearing Angels gear will get in free. 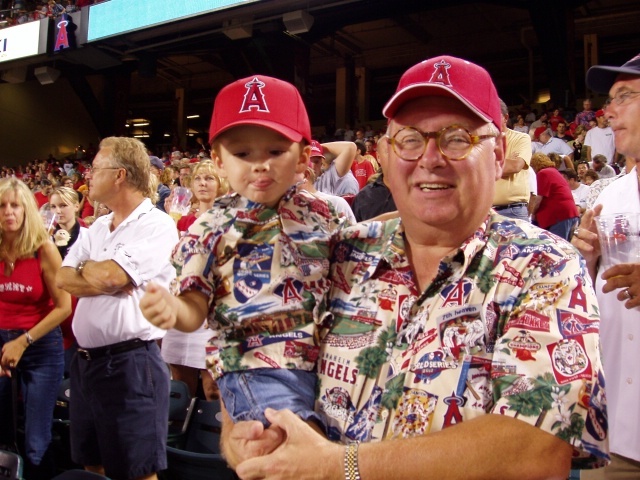 In addition, all visitors wearing Angels gear will get half price rides on the train at Irvine Park Railroad. Both offers are good all day long. Wilson and his family will visit the OC Zoo, take part in a special animal presentation with OC Zoo animal keepers and stay to take photos with guests. Families are invited to visit the zoo, meet Wilson, learn first-hand about his career in the majors, and take photos with him. As many guests as possible will be allowed to meet and take pictures with Wilson, however, only the first 100 will be guaranteed spots at the animal presentation and photos with the Angels catcher. Time: Zoo opens at 10:00 a.m. Presentation begins at 11:00 a.m. Cost: Free zoo admission for every visitor who wears Angels gear. All others $2.00 per person ages 3years and over; Ages 2 years and under are free. Also half-price rides on the train at Irvine Park Railroad.